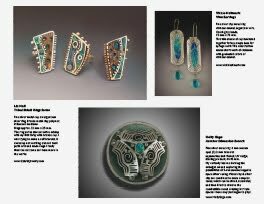 Vickie Hallmark jewelry design Vickie Hallmark: Art and Design of Metal Clay Jewelry 2012 Calendar Now Ready to Pre-Order! 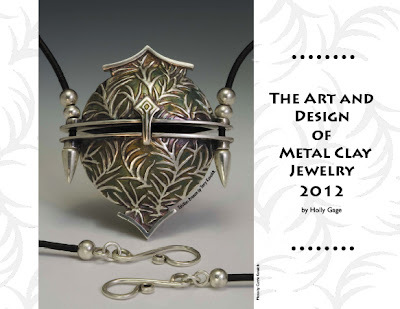 Art and Design of Metal Clay Jewelry 2012 Calendar Now Ready to Pre-Order! 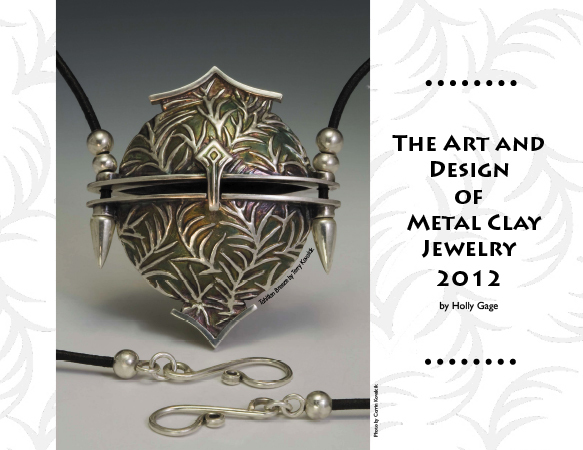 The fabulous Holly Gage has done it again! Along with jurors Emma Baird, Tracey Spurgin, and Lesley Messam, Holly selected work from over 300 submitted images to fill the pages of the 11" x 17" (open size) wall calendar. From the gorgeous detail of Terry Kovalcik's locket on the front cover (above) to the work of the three jurors on the back, the calendar is filled with inspiring images of the best in metal clay today. Works from about forty of the best known and most accomplished artists in the field are accompanied by statements of inspiration or technique and website addresses. The calendar includes conference and competition deadlines to keep you on track. This edition of the calendar is the most eclectic ever, showcasing silver, rose gold, bronze, copper, and steel clays. Take a look at the calendar preview and pre-order your copy today here. 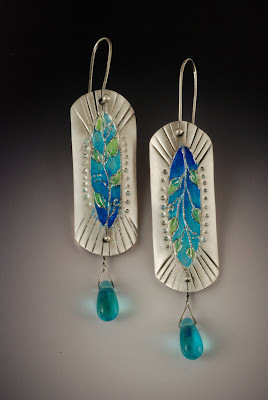 I'm incredibly honored to be included again this year, with my syringe cloissone Vine earrings showing off enamel with silver clay in the month of October. What amazing work, I can't wait to get one of these calendars ...these earrings are gorgeous! Thanks, Millie! I know -- it's an amazing collection.